Select shoulder leather, 2.5" safety cuff, Canvas back, Sewn with DuPont™ Kevlar® thread. Hard workin' gloves! 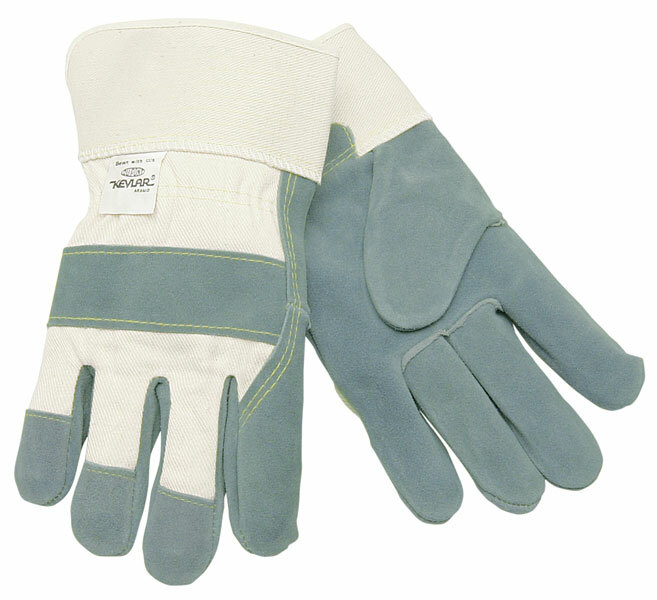 Select shoulder gloves provide you with excellent protection in harsh working environments. The 1500K features quality select shoulder leather, a white cotton canvas back with shirred elastic, fleece cotton palm lining, 2.5" rubberized safety cuff, and is sewn with DuPont™ Kevlar® thread.